80% of Strokes Among African Americans Can Be Prevented By Doing This! A stroke occurs when a blood vessel that carries oxygen and nutrients to the brain is either blocked by a clot or bursts (ruptures). African Americans are affected by strokes more than any other racial group, but there is one important thing they can do to prevent strokes. According to The American Heart Association, 80 percent of strokes are preventable. 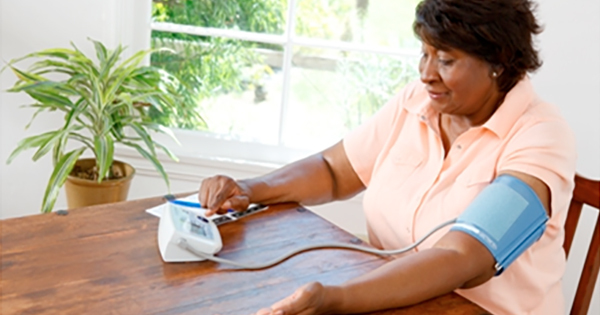 The most important step African Americans can take is to control their blood pressure. The number one risk factor for stroke, according to The National Stroke Association, is high blood pressure, and 1 in 3 of African Americans have high blood pressure. A recent study involving 27,000 people diagnosed with high blood pressure showed that eliminating high blood pressure was estimated to reduce stroke risk by nearly 48 percent. According to the National Stroke Association, strokes happen earlier in African Americans, and blacks are twice as likely as whites to die from stroke. This is reason enough for African Americans to prevent strokes from happening by doing all the right things to prevent high blood pressure.